EPS manufactures new homes using structural insulated panels. We understand that building a new home is a major undertaking for most families. That's why we utilize our years of experience combined with the latest technology to create your dream home. And, because your new home is built using Structural Insulated Panels, you'll have peace of mind knowing it will provide the comfort and efficiency you desire. Every home we build is custom designed to fit your desires. But, to get you started, we have pre-priced home options to help in your decision making process. Take a look to see if any of these may be a start to your new dream home! Building with Structural Insulated Panels allows you to incorporate your unique style. From custom kitchens, vaulted ceilings, to beautiful open rooms. Here, decorative glue-laminated beams provide a rustic, open look and feel. An EPS home built with Structural Insulated Panels will provide plenty of options for exterior finishes. Go with traditional wood or vinyl siding or choose brick and stone finishes. Exterior finishes provide not only a decorative look, but the weatherproofing for the life of the home. Our professional builders will be happy to discuss the benefits of each option. 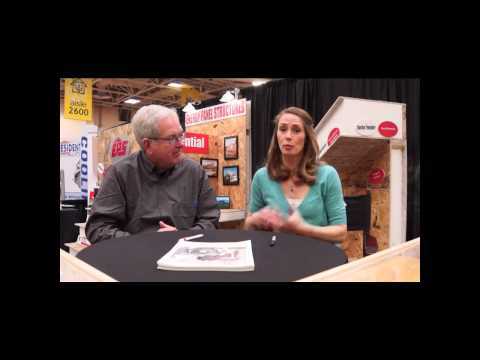 Dean Johnson and Mirium Johnson talk about building with Structural Insulated Panels (SIPs). With people spending 90% of their time indoors, buildings should create a safe environment for occupants, free from mold, volatile organic compounds (VOCs) or other harmful airborne pollutants. A SIP home allows for better control over the indoor air quality because the airtight building envelope limits incoming air to controlled ventilation. Controlled ventilation filters out contaminants and allergens and also allows for incoming air to be dehumidified, reducing the possibility of mold growth.